How Much Do Home Security Alarms Cost Fully Fitted? 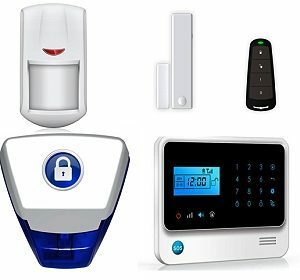 How Much Do Home Security Alarms Cost Fully Fitted? How Much Do Home Security Alarms Cost Fully Fitted? The answer to the question, unfortunately is not quite straightforward. It depends on what type of system you want to install and what features you wish to include in the installation. Having said that, you can find DIY home security alarms in the market at quite low prices – the best place to start is with an online cost guide. Wired systems tend to be more intrusive to fit because of all the cables that need to be run around the home. On the other hand, wireless systems are just that – wireless. Wireless alarms may cost a little more for the equipment, but you can recoup some of that outlay by saving on labour costs as there are no cables & therefore no holes to drill or cable trunking to fit – that means less time to fit the alarm and so saves the number of “man-hours” needed to install the alarm.